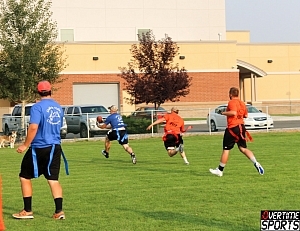 Flag Football, as always, it a blast! 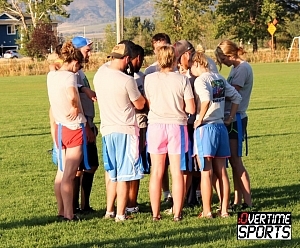 What an amazing season to Bozeman's only social Flag Football League! 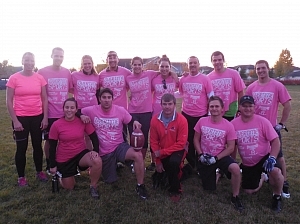 Congratulations to our Men's League winners, team Squad and the Co-ed League winners, A Team Has No Name! 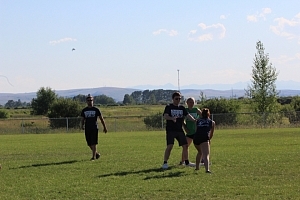 A Team Has No Name defeated Ballsagana in a competitive game not indicative of the final 39-20 score. A Team Has No Name was lead by Mallory on defense with 6 solo tackles near the line of scrimmage. They also had another female player return an interception for a touchdown. Offensively, Julian was hard for tacklers to stop and had several big plays. Ballsagana was a tough team all year but didn't have enough gas left in the tank at the end. Rabid Squirrels: 7 players had never played any type of organized football before the year. I think this team had the most fun of any team in the league. They also had the biggest cheering section of kids, lots of parents on the team. 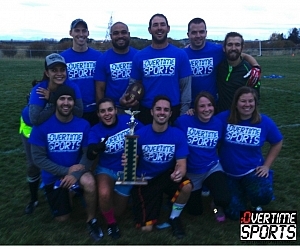 Remember the Tight ones and Victorious Secret: Two teams on the brink of making it to the championship. Several OTS veteran players on these teams. No Punt Intended: Finished year strong with a big win in consolation game over game of zones. Game of Zones, Batch and Blast, Back that pass up - tough seasons as far as wins and losses go. These teams had a lot of fun playing without being overly competitive. 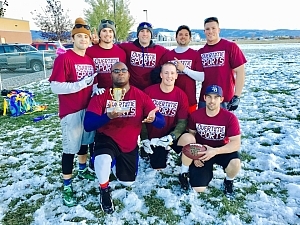 The men's league playoffs and championship were played in treacherous snowy conditions but that did not slow down team Squad. Squad dominated all year long and will be the team to beat next year. They finished the season undefeated and won the championship game convincing over Mr. Gardocki. Mr. Gardocki has several great athletes but did not have enough horses to slow down Squad. Several teams in the league were very competitively matched: Outlaws, Snowdevils, and Kowalski's finished in the middle of the league standings and had the ability to play with every team in the league. Team Ramrod had a long season and will have a lot to work on this offseason in preparation for next year. Make sure to LIKE us on Facebook to get the latest updates on new leagues and tournaments.